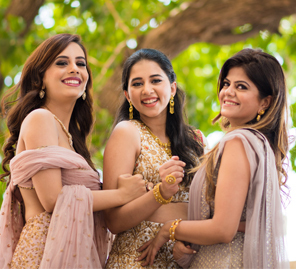 A pink lehenga with a unique blouse gave bride-to-be Sanaya a stylish edge during her bridal makeover with WeddingSutra Favorites. 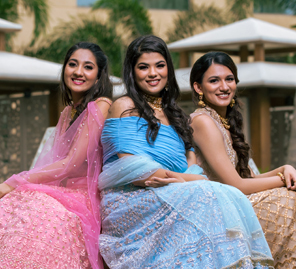 WeddingSutra, in collaboration with AZVA and Lakmé Absolute, brings you ‘WeddingSutra on Location’ – a curated showcase of top bridal trends and style statements from some of our WeddingSutra Favorites. 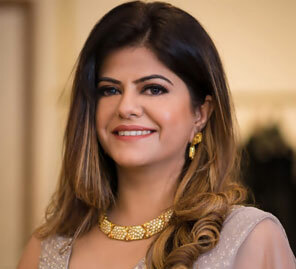 WeddingSutra’s most popular bridal initiative ‘WeddingSutra On Location’ took place at the swanky SVA By Sonam & Paras Modi store at Churchgate, Mumbai. In the first of this three-part series, bride-to-be Sanaya gears up for her bridal appearance on her big day. Every girl has a vision of what she wants to look like on her wedding day. For Sanaya, a gorgeous lehenga by SVA By Sonam & Paras Modi was an embodiment of everything that she had dreamt of. And for jewellery, she picked diamond-encrusted pieces from AZVA. Makeup artist Sejal Sachnakul added a charming twist to Sanaya's bridal beauty look using products by Lakmé Absolute. Hairstylist Sujata Sonawane even styled Sanaya’s tresses beautifully which enhanced the bride-to-be’s overall getup. Beautiful stills and motion clips shot by Anuraag Rathi and his skilled team captured the essence of the entire day which will be etched in Sanaya’s memories for a long time. Sanaya then moved on to pick jewellery that would go with her outfit and found a few pieces from AZVA to be the perfect match. She chose a graceful necklace that featured seven flowers created using diamonds. Complete with matching earrings, this set exuded contemporary charm. She also selected a statement cocktail ring handcrafted in luxuriant rose gold with seven pinwheel style petals that shone with diamonds set in prong and pave style. Sanaya adds, “The jewellery collections by AZVA are so well designed. 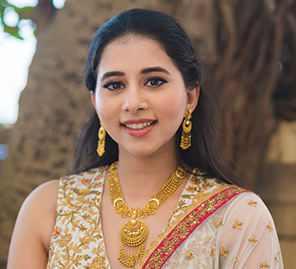 While I loved everything that I wore, the earrings and the ring were my favorite.” She also loved how the bracelet incorporated the brand’s ‘Seven Vows’ concept through its pretty floral motifs. Makeup artist Sejal Sachnakul began by creating a canvas of even-toned skin on Sanaya by using the Lakmé Absolute Blur Perfect Primer. She followed this with the Lakmé Absolute Argan Oil Serum Foundation in Rose Silk to achieve a glow that made Sanaya’s skin look like it shone from within. To give her perfect smoky eyes, she used the Lakmé Absolute Illuminating Eye Shadow Palette – Gold and added drama with the Lakmé Absolute Precision Liner. The Lakmé Absolute Face Stylist Blush Duos added a soft flush on Sanaya’s cheeks while the Lakmé Absolute Argan Oil Lip Color in Soaked Berries stained her lips in a deep hue.